The lights were dimmed. The sofa was warm and soft. A plate of brownies passed in front of my face. "They're all organic," my friend said as I reached for one then passed the plate on to my neighbor who sat next to me, cross legged in front of the big screen TV. It was a meeting of my green moms groups - born of a green book club I founded with a few emails eighteen months ago - and we were watching The End of Suburbia, a movie about peak oil. We've talked about climate change, about mercury in high fructose corn syrup, about victory gardens and whose broccoli was bigger, about schools, neighborhoods, and where to buy second hand clothes or local produce. We've made jam together, cooked up all local potlucks, picked dozens of berries and dabbled in organic wine tasting. We've also mobilized to help pass city-wide food composting, connected with green moms in other areas of California, and gathered lists of green resources for the community. With the economy in a tailspin and a new President at the helm, we've heard a lot of talk about our civic duty, about volunteerism, and about taking action. I wholeheartedly believe that we must reconnect with ourselves as citizens and not simply consumers. I know in my heart that change does not come from the White House, or Congress, or corporations, but from us. It comes from signing petitions, writing newsletters, making phone calls, attending city council meetings, and organizing protests and rallies. After blogging for eighteen months and publishing half a dozen green newsletters, I've realized, though, that most of us don't like to think about activism or about "building community". We shy from rallies and letters to the editor. We hesitate to join groups and organizations. We prefer personal environmentalism - reducing our footprints in the privacy of our own homes. Thirty people will follow a story about reusing water bottles but only one looks further into preserving our right to buy second hand or creating community. Connecting with others is exhilarating, supportive and affirming. It can also be uncomfortable, time consuming and exhausting. I've worked to build a green social movement and to generate eco-activism in more ways than I can count. I've joined a green task force for my city. Hosted a local food buying club. Started a green book club. Initiated a green team for my son's school. Biked with a community group. Made friends at the farmers' market. Blogged alone and with blogger buds. Brunched with strangers. Volunteered for rummage sales and dragged communal recycling bins to the curb. I've found real fulfillment in some of these activities. And others . . . have been a drag. An obligation. For me, the key is in finding the fun, building the connection. My green book club has become a circle of friends. Cleaning up donated items for a rummage sale has yielded conversations and play dates. Brunch has left me with a friend on the other side of the globe. Things that are simply obligation have fallen by the way side. As we move into this new era of responsibility, of working to turn our country around, to adapt to climate change, to save our schools, we might remember that there is more than one way to accomplish our goals. We might consider that morale outrage and sweaty determination will get us so far. A good friend and organic chocolate brownie will get us a lot farther. i've found things to be the same. i've tried field trips with a local homeschool group, attending civic association meetings, starting recycling drives, delivering baked goods to my neighbors and many other activities. some of these i loved, others made me uncomfortable "hi, i know we're strangers eventhough we live 3 houses away but please... take these cookies i baked with my kids, yes, they're the ones with the runny noses who were just digging in the flower beds..but i swear we all washed our hands..oh and they're organic, sugar-free, peanut-free, tree-nut free, vegan cookies. i swear." but, i think the idea is to try many things, something will strike a nerve and somewhere you'll find yourself and your world changed. But I can see the enthusiasm in people's faces, especially the growers. They're getting as excited about local food as I have been and know we are on a wonderful path. 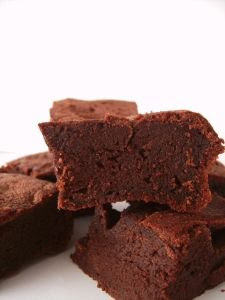 Then again, the brownies might make things even better. Leftovers? Thanks for watching our doc The END of SUBURBIA, and congratulations on all your community leadership. please take a look at our follow-up film ,ESCAPE From SUBURBIA - it's a doc about people like you! For me, the key is to find enjoyable ways to achieve our goals. If it is a drag, then even the best of us will fall off the little green wagon. A key for me is to work through things I already know I enjoy and then make the green connection...like writing and sewing...becoming the Organic Needle. I get to design & sew green products and then blab about them on the blog. No real "work" involved. As far as trying new things, like the NYC Food Bank fundraiser, I rely on doing it with people I really enjoy. So even if the the whole thing blows up in our faces, we will still enjoy the time spent together. I love the idea of Green Group Meetings! I should think of getting one started in my area. Wise words, once again. : ) Finding the fun, and the goodness in it is what makes it all easier. Though I will say that for some people, there is discomfort in the unknown, and that's ok. The end result is where the good stuff lies. That's why I love taking classes in environmental education. There are so many klean kanteens and siggs there... reusable food containers, cloth napkins, and tonight I chatted with a classmate during our break as she knitted. I can talk about planting apple trees this spring or getting chickens and people don't think I'm nuts. It's really nice. Blonde: You are so right. I think trying a bunch of different things and seeing what works for you is the way to go. There is no one size fits all but I think that, when it comes to volunteering, it is important to find some fulfillment or enjoyment in what you are doing or you won't be doing it very long. End of Suburbia: Thank you for making an insightful, thought provoking movie! Needle: Perfect example of combining interests. A great way to make working toward a greener planet not actual "work." Arshia: I hope you do. I will say that a bit of work goes into it at first but it is so worth it. JessTrev: Love your idea for a supper club. Just floated an idea about trading homemade snack stuff to my group. I'll see what comes out of it. Wouldn't it be awesome to just be responsible for a giant batch of muffins while your friend churns out some granola bars and another friend whips up some crackers. A lot of diversity, very little packaging, and no HFCS in sight. Melinda: Absolutely. It isn't all puppies and flowers. Even with my now green moms group, there were some early meetings where I felt like I talked too much or didn't have enough good ideas or came off this way or that way. It is uncomfortable. But if you try a lot of things and give them a chance (five or six mos at least), something will fit like a glove. Ruchi: Me too! Come home. Or stay in London. But I'm totally opposed to the NYC or DC moves. Farmers Daughter: Isn't that wonderful? To be with others who think like you and understand your out of the mainstream ambitions. and GREAT new design for the site !!! !